Barcelona: Luis Suarez has agreed a new contract with Barcelona, keeping him at the Camp Nou until June 2021, the Spanish champions announced on Thursday. The 29-year-old Uruguay striker's new deal, which had been in the pipeline for some time, features a 200 million-euro (£167 million, $208 million) release clause. Barcelona said Suarez, who has scored 97 goals in 116 appearances since signing from Liverpool in 2014, will officially pen the new deal on Friday. 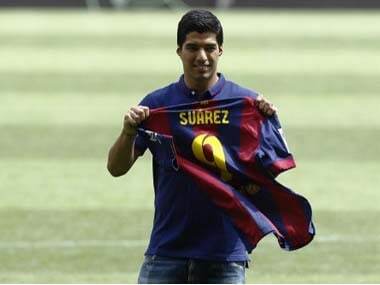 "They know that I feel happy here and there was never going to be a problem extending my contract," said Suarez. "And finally, it's official." 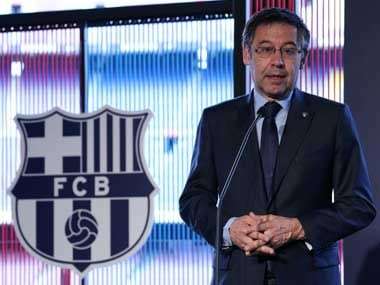 "It's more than a gift for Barca, it's a gift for me. Both the club and I wanted this to continue because it's a good relationship. "Any player would want to end their career at a club where they feel comfortable. We'll have to see, but I will never lose either my ambition or my enthusiasm." 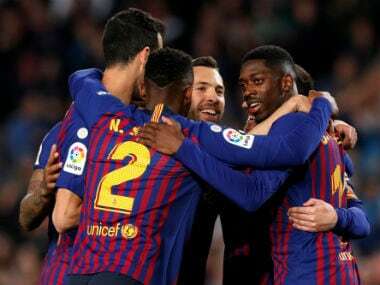 Former Ajax striker Suarez helped Barca win a treble of La Liga, Copa del Rey and Champions League in his first season at the Camp Nou and followed that up with a domestic double last season. He scored in the 3-1 win over Juventus in Berlin in the 2015 Champions League final. 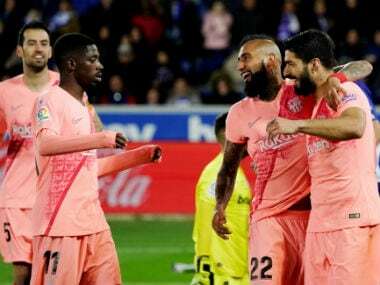 Suarez's remarkable goal tally of 59 goals in 53 matches last season, including 40 in La Liga, saw him win the European Golden Boot award for Europe's top scorer. Suarez's new deal follows the announcement by Barcelona in October that Brazilian superstar Neymar had signed a new five-year deal also keeping him at the club until 2021 and featuring a 250 million-euro buyout clause. Various Spanish media sources reported last week that Messi's father and agent, Jorge Horacio Messi, had arrived in Barcelona to begin negotiations on a new deal for the five-time World Player of the Year. "Of course (I like the news)," Enrique said. "The day on which it is announced will be a great day for everyone to celebrate." Barca have also recently tied down Sergi Busquets and Javier Mascherano to contract extensions this year. La Liga's other star attractions have been busily putting pen to paper in recent weeks. Ballon d'Or winner Cristiano Ronaldo signed a bumper new five-year contract with Real Madrid last month which will keep the Portuguese star at the European champions until he is 36. Teammates Gareth Bale, Luka Modric and Toni Kroos also agreed lucrative renewals. Meanwhile, Suarez said Messi should have won another Ballon d'Or on Monday. 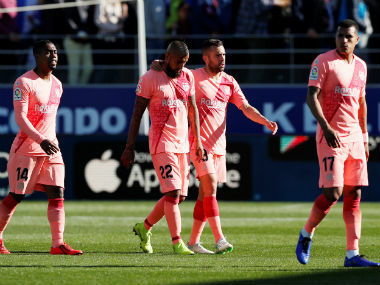 "Everyone has their own criteria," he told the Barcelona website. "But as far as I’m concerned, Leo deserves to win it every year because of what he gives to football. He’s the best.